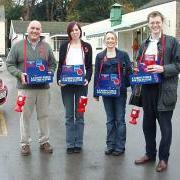 I am lifelong volunteer and have raised hundreds of pounds for local charities such as Julia's House and the local Royal British Legion. Also I am actively involved in my local church and help to run a Christian youth holiday camp each summer. I undertake voluntary work close to home. This ranges from litter picks to offering free legal advice. 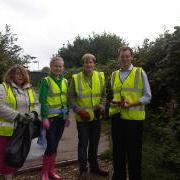 Some of the litter picks are official and organised (such as the one pictured below left) and some less so! As a practising barrister, I have from the very first undertaken pro-bono work for those unable to afford legal representation. This started with the Free Represenation Unit in London and has continued with my links to the Citizens Advice Bureau. I have undertaken a number of cases which have been referred to me by the Citizens Advice Bureau, including a number in Dorset. 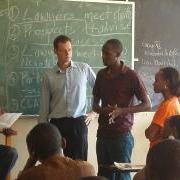 I do this work because I believe that eveyone in my profession should undertake pro-bono work. There are many people who cannot afford legal representation for one reason or another. Where there are worthy cases, if I am able, I will be able to pitch in and help out. I have been involved with the Conservatives Party's Project Umubano. Umubano means friendship and co-operation. This is one of the largest social action projects undertaken, and I was a member of the Justice Team in Rwanda and Sierra Leone. 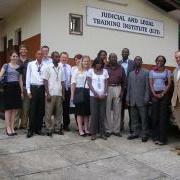 In Rwanda the team helped to advise those in the emerging Rwandan legal profession. In Sierra Leone I was involved in a similar project. This including delivering lectures and speaking to senior members of the judiciary about the long delays in their legal system and how best to manage cases. 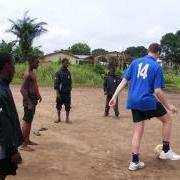 In addition,I took part in the Street Child of Sierra Leone project, which helps homeless children.